Snake. The legendary mercenary makes his miraculous Smash debut! 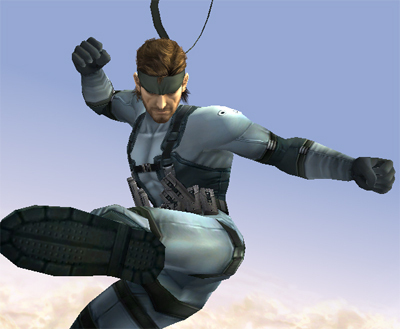 This law-breaking news roared around the world.. Wallpaper and background images in the Super Smash Bros. Brawl club tagged: super smash bros. brawl newcomer snake solidus metal gear solid metal gear rex.